with Reserved Font Name “Advent Pro”. 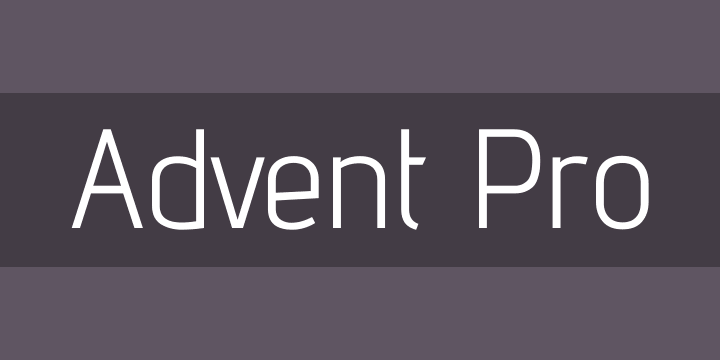 Advent Pro is a modern font designed for web and print. Advent Pro utilizes some of the universal characteristics of the sans-serif genre with modern characteristics to give an edge to your typography.